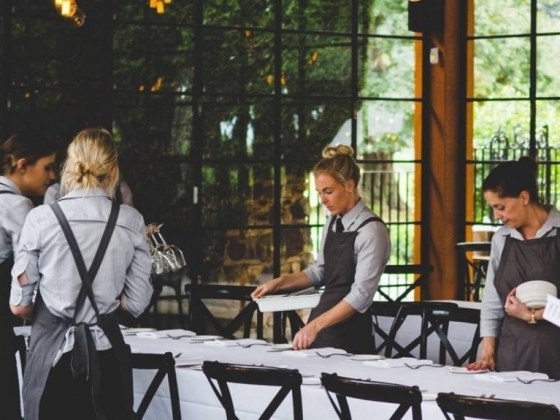 Be part of the Coombe Yarra Valley Restaurant & Events team. With a full calendar of functions commencing in spring we are on the look-out for staff to be part of the team that will be instrumental in delivering a professional and positive experience for our guests. Coombe Yarra Valley, once the home of Dame Nellie Melba, is one of the most sought after Restaurant, Wedding & Events venues in Australia. We are looking for well-presented highly energetic and positive wait staff. Key responsibilities of the role include: - Preparing the restaurant for service - Greeting and seating guests - Providing the highest level of food and beverage service - Accurately recording customer orders - Maintaining an impeccably clean and tidy restaurant at all times - Successful candidates must have - a valid Victorian RSA certificate - the right to work in Australia - current references - be available on weekends and evenings - a passion for providing an outstanding customer service experience - Bring us hospitality experience, confidence and a friendly attitude and we will reward you with a - fantastic work environment. To apply, simply forward your application and resume to hr@coombeyarravalley.com.au and we’ll be sure to respond.